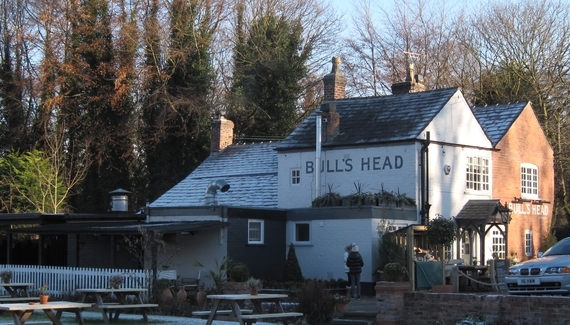 You feel the warmth as soon as you walk through the door. 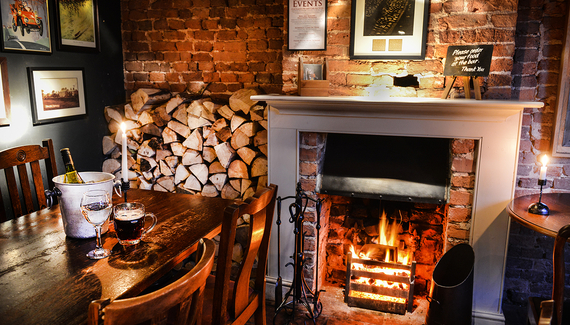 Candles glow on the tables of this pretty village pub, fires crackle, and the staff couldn't be nicer. 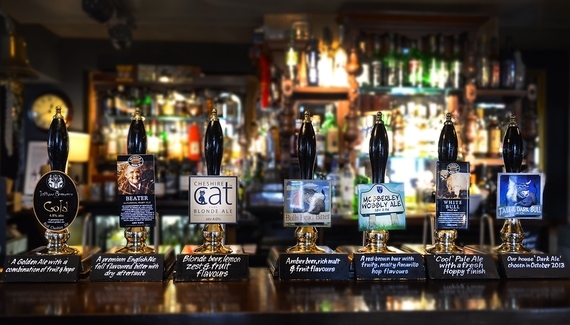 Under a low-beamed ceiling, seven hand pumps dispense the finest local ales from Bull's Head Bitter, White Bull and Cheshire Cat as well as the inimitable Mobberley Wobbly – ale is king! 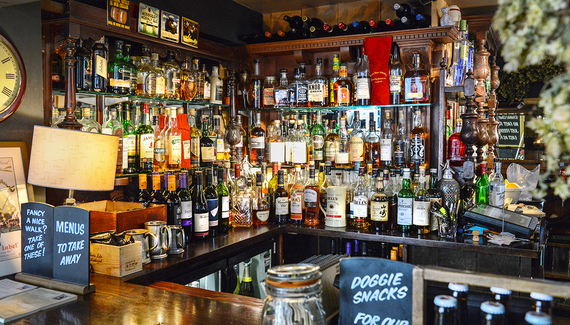 Add in a Highland extravaganza of over 100 whiskies and other tempting brews and you have the makings of a celebration. 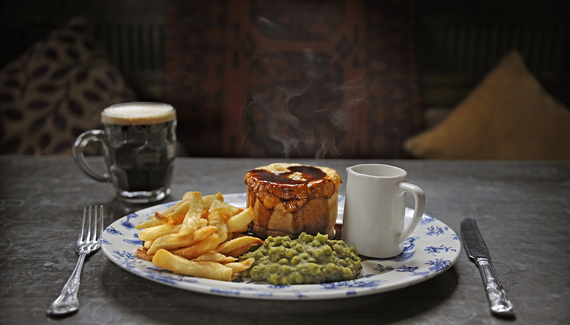 Chef Andy cooks 'pub classics from the heart' with full English flavours; the steak and ale pie is a fully encased masterpiece in itself, and the Irish whisky sticky toffee pudding too indulgent for words. 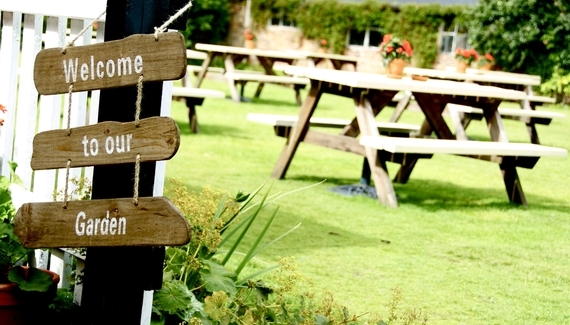 With outside tables for sunny days, this is as good as it gets for a village pub. 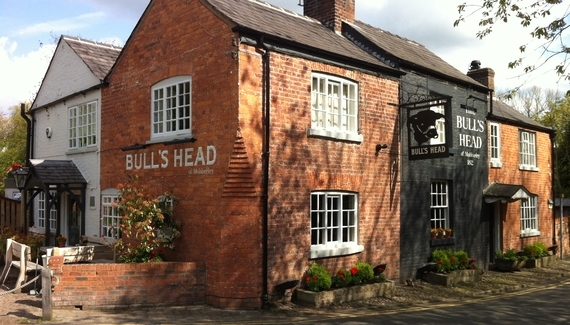 Have you visited The Bull’s Head? 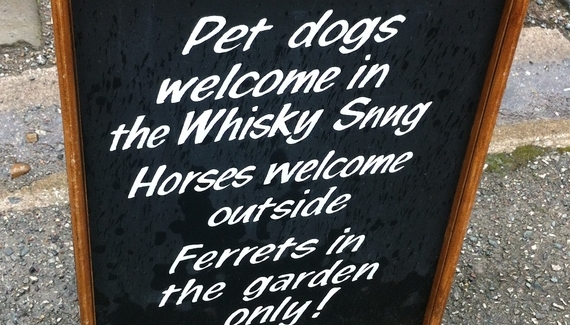 A garden for dogs and the Whisky Snug. 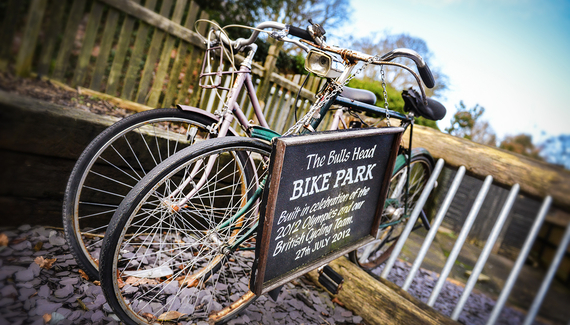 Beautiful Mobberley walk. Dog show every August: Saturday of the Bank holiday weekend or National Dog Day. Biscuits on the bar, water bowls and Doggie Beer. 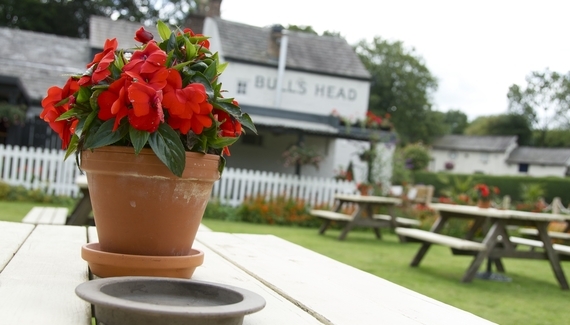 A good pub walk between The Bull’s Head and The Church Inn.